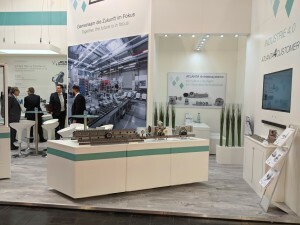 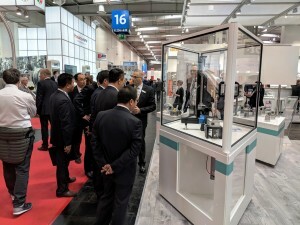 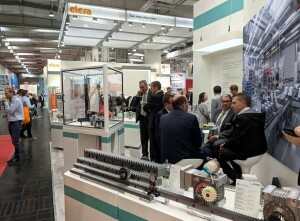 Under the heading “Integrated Industry – Connect & Collaborate”, more than 210,000 visitors, gathered information about innovations in industry at this year’s Hannover Fair, which took place from April 23rd to 27th 2018. 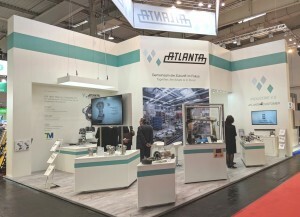 To the 5800 exhibitors in the fields of Integrated Automation, Motion and Drives (IAMD) as well as CeMAT, also ATLANTA Antriebssysteme included this year fair. 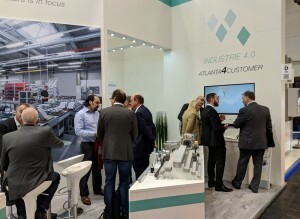 In addition to the extensive program of quality racks, low-backlash gearboxes, high-performance linear actuators and special gearboxes, the newly founded business unit “ATLANTA Robotics” was presented to the specialist audience in accordance with the IAMD theme. 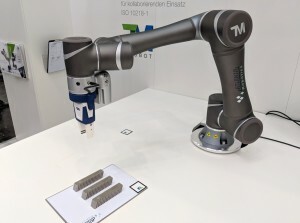 ATLANTA is expanding its product portfolio to the new lightweight robot TM of the brand Techman Robots, combined with training and the realization of user applications on the way to Industry 4.0.